UPDATE! OUR BOOK IS READY! My father’s last pencil box. It will remain untouched. 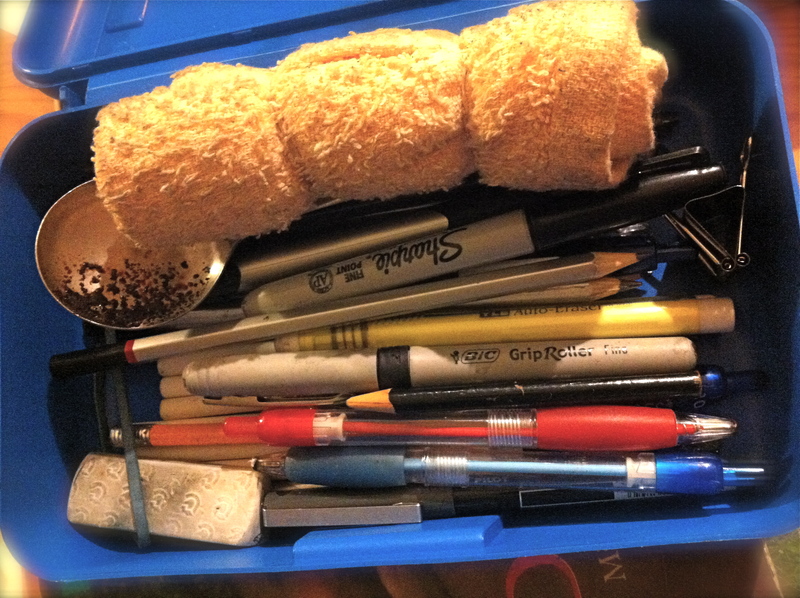 It contains his favorite drawing tools like the black pencil crayon and his instant coffee spoon and his rolled up hand towel that he used to brush eraser bits away. I went into Staples today and felt the weight of missing Dad. 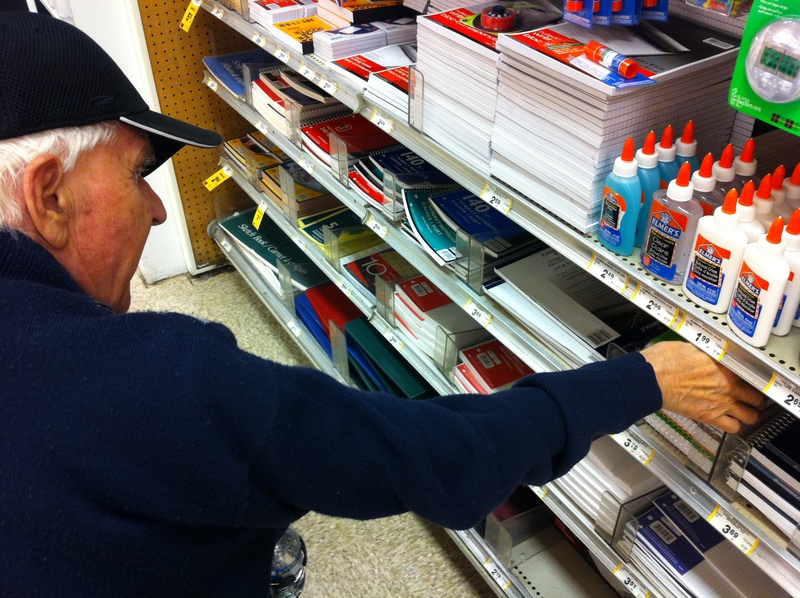 He and I loved shopping for stationary together. 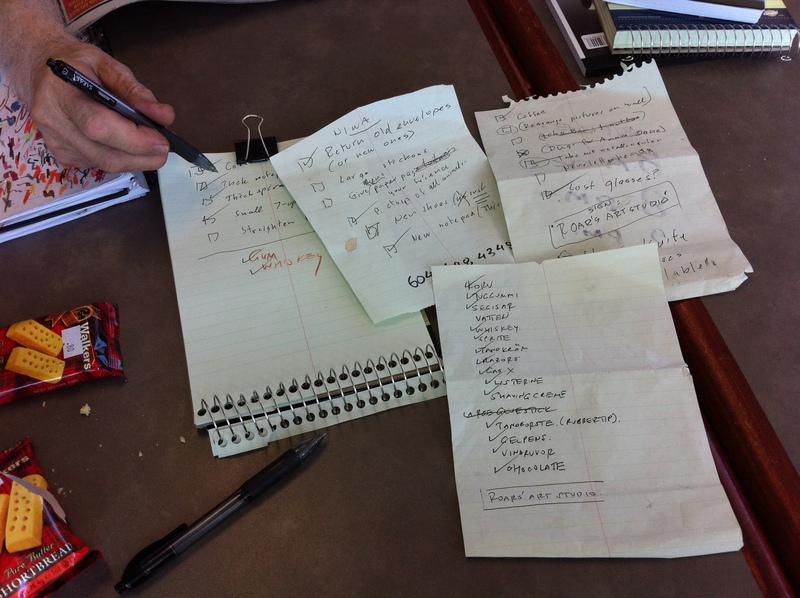 I miss our coffee dates and his to-do lists, but I am ready for the next chapter. Ready to keep going.